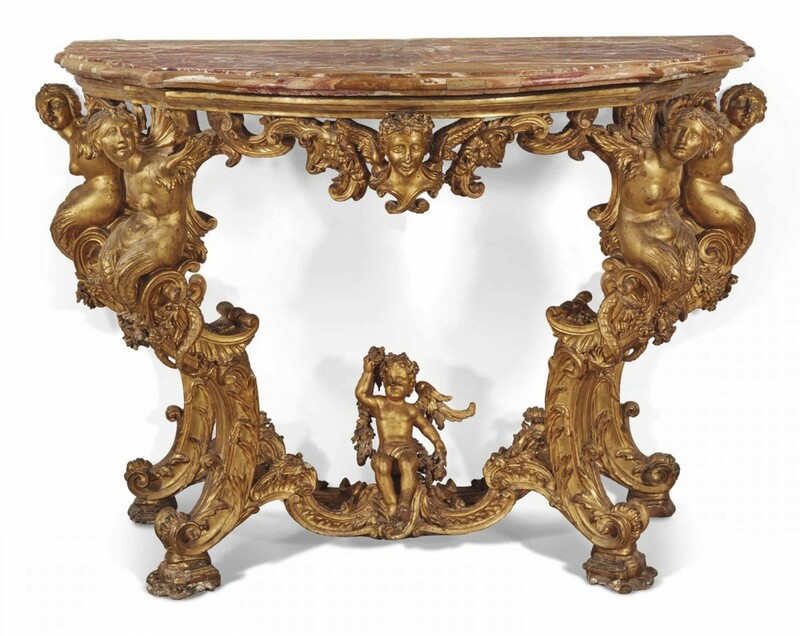 This rare and elegant carved giltwood console is a remarkable example of Florentine furniture of the early 18th century. This type of console was particularly sought after by the nobility and intended to decorate the palaces and adorn the majestic reception rooms. 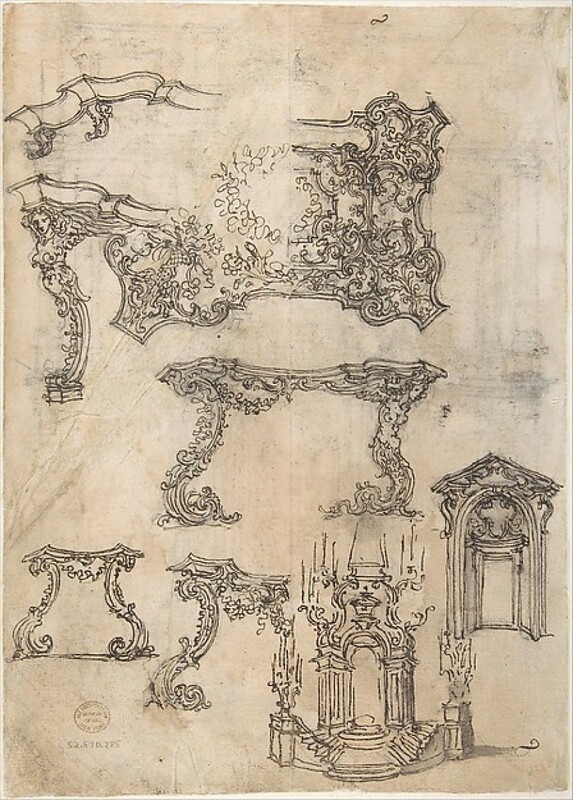 The author of our console table has found his inspiration directly in designs of Giovanni Battista Foggini (1652-1725) and drawings of Diacinto Maria Marmi (1625-1702) which were disseminated in Florence through the designs of Diacinto Maria Marmi (1625-1702) from the end of the 17th century. 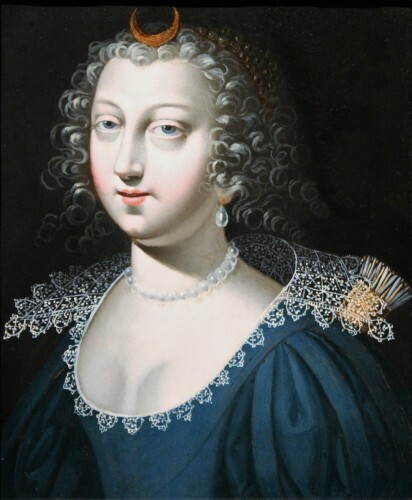 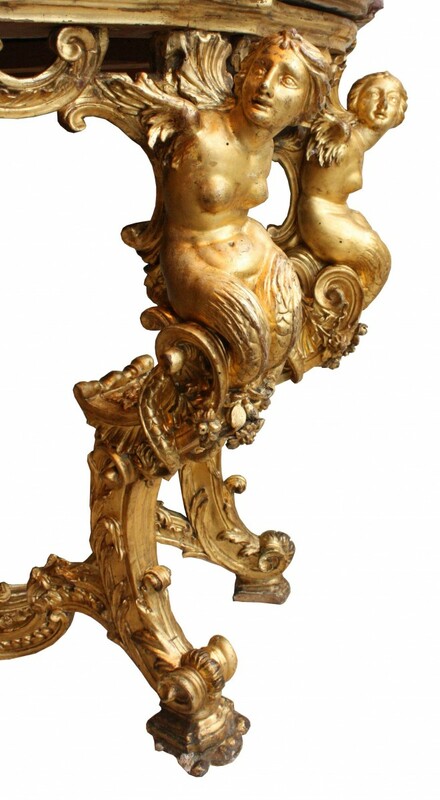 One of the features of his designs was a female bust issuing from a bold volute. 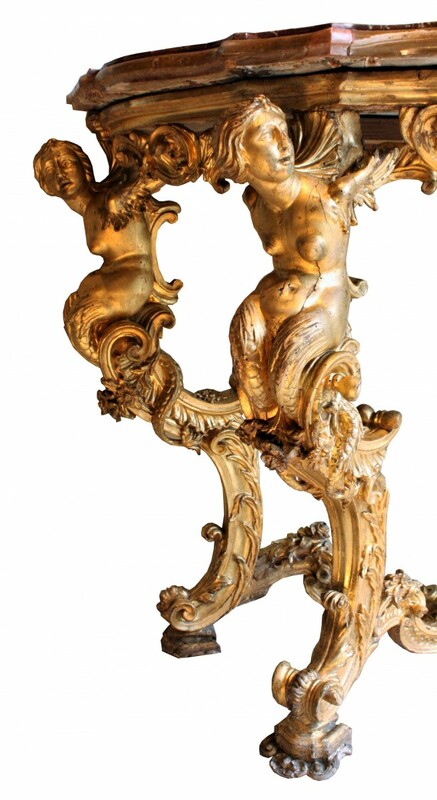 There is a design for a console table by Diacinto Maria Marmi dating to the end of the 17th century (now in the Gabinetto dei Disegni e delle Stampe degli Uffizi, Florence), which depicts a winged siren supporting the top of a console table as on the offered example. 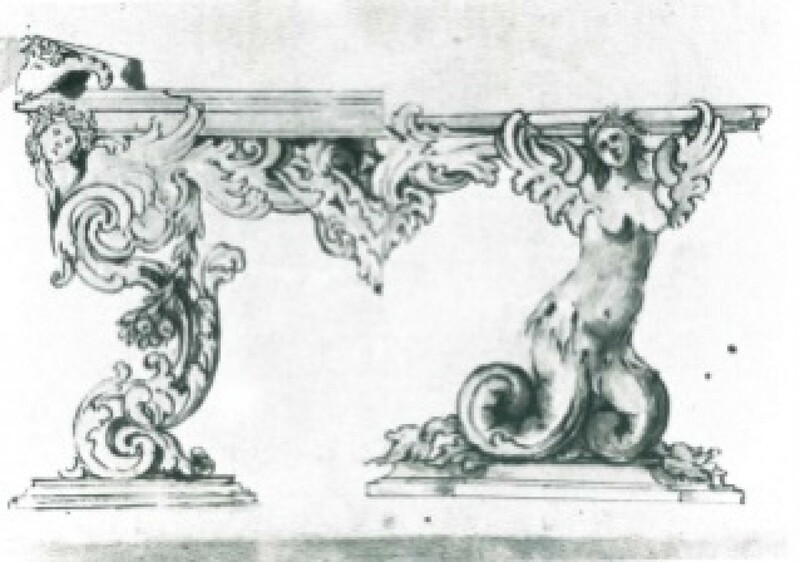 These female figures are a variant of the mermaid figures which were frequently employed as a decorative device to support marble tops on these elaborate console tables. A drawing by Foggini in Metropolitan Museum of New-York depicts some console elements in form of winged female figures. 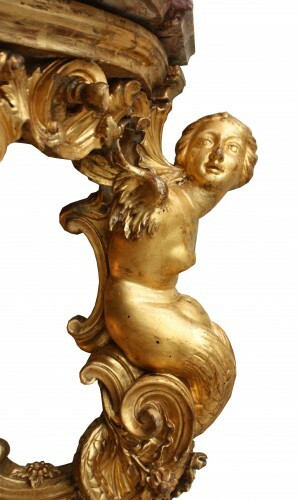 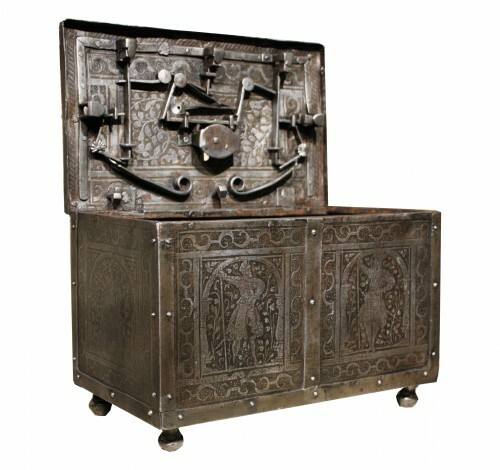 Our console rests on four mermaid iwinged figures joined by a scrolled stretcher. The winged sirens supporting the top are placed on the mounts of the console around which they roll their long double tail covered with scales. 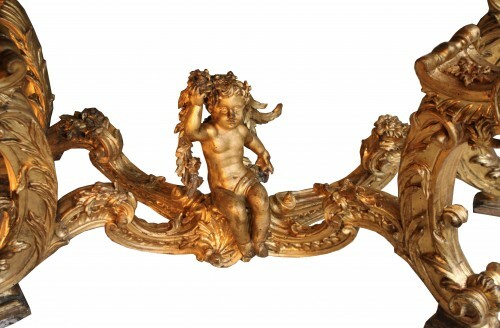 In the middle of stretcher a sitting putto holding a wreath of flowers. 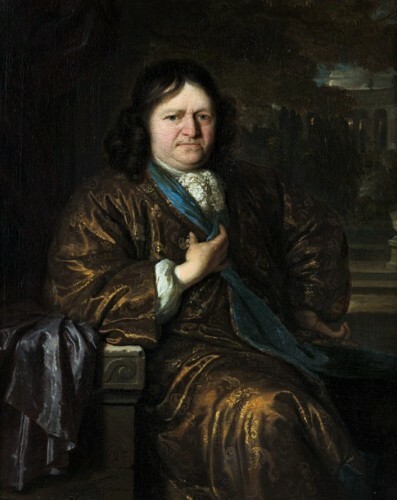 The apron is decorated at its center with a winged female mascaron crowned with flowers flanked on each side by grotesque with their tongues out. 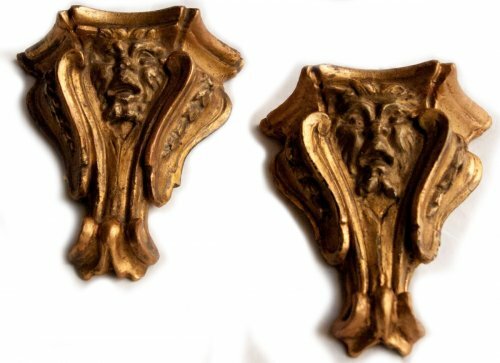 The feet with acanthus leaf rolls and ascending reed branches end with molded bases. 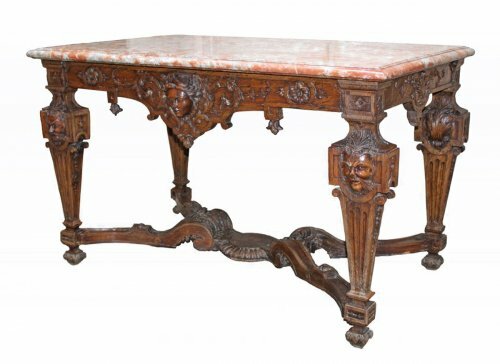 All over decorated with foliage patterns, scrolls, shells, finely carved flower garlands doting the console with movement and lightness. 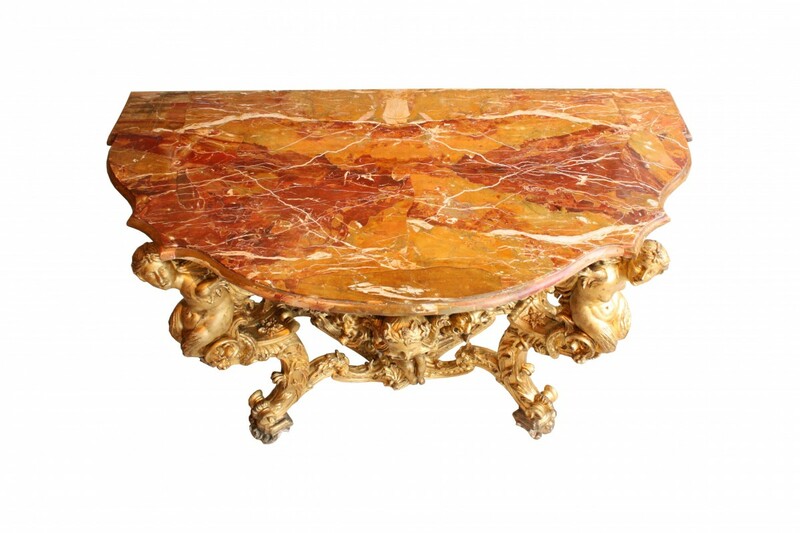 This exuberance of the decor full of harmony and outstanding elegance make our console a fine example of this Baroque Florentine refinement. The preciousness of this work is accentuated by the top made of veneer of jasper of Sicily (semi-precious stone). 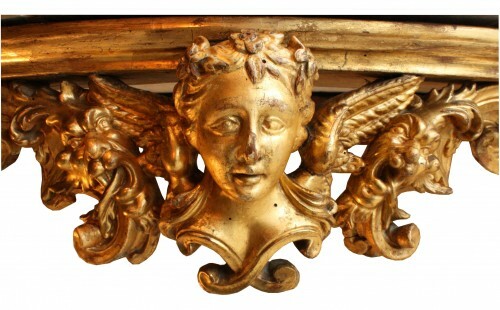 Very good original condition, original gilt.